Welcome to Meditation is easy.com – the site that is providing in-depth (and absolutely free) knowledge of meditation to all since 2005. Yes, we have been online for so long. No slang, no esoteric terms, no ‘complicated’ language . In plain simple English : Meditation simplified. For a long time people considered meditation as an esoteric subject of elderly which deserved a try only after retirement. Even now, in many school of thoughts, it is the 7th limb of Ashtanga Yoga known as Dhyana (in Sanskrit) which requires a serious study of the eight fold path of yoga to master. Thankfully, the situation is changing fast. As more and more scientific research are showing its remarkable positive effects on our mind & body, people of all age groups have started taking interest in it. It has evolved into one of the most sought after self-development tools for inner happiness and growth. 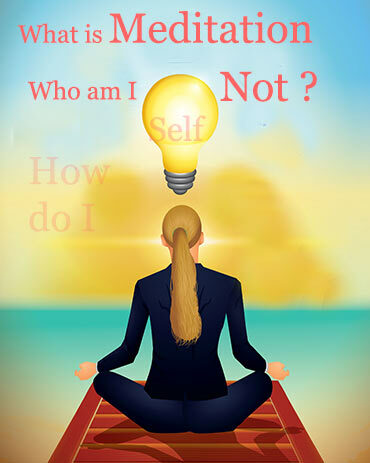 Now there are management schools where meditation is taught as a compulsory subject and its classes are being conducted in every part of the world. The most modern doctors of world’s best health institutions are recommending its daily practice to their patients. What was once consider a part of religion, is now taking a center stage in our most demanding worldly activities. Now it is globally recognized as an essential tool for stress reduction and mental peace. Mindfulness has become a global phenomenon and the relation between mind and body is being stressed upon as never before. There is no wonder that mainstream media publications are giving so much coverage to it. Meditation : What you can expect here ? This website is an effort to present the knowledge of meditation to the beginners and busy people of today in a simple and easy to understand language. We have started from an absolute beginner’s perspective on meditation and then we have slowly transitioned to intermediate and later on more advanced techniques. Though, this website has been created from the point of view of absolute beginners even the more advanced users will also find it very useful. You must have read or listen in your yoga classes that in order to meditate properly, a focused attention on breathing is all that we require as a first step. Later on, as we go deeper into our practice, this become an almost second nature to meditate. However, it is often easier said than done owing to the ever flicking nature of the mind. However, once you understand the concept and make a daily routine, things starts to fall in line. The website is a sort of living book and requires an active involvement on the part of the reader. The meditation instructions and techniques mentioned here require few words but demand unlimited after thoughts. You can not evaluate their effectiveness unless you try them. You must try them for getting some real benefit from them. Here we will start from the very basics and you will learn what exactly is meditation and what it is not. Then we will learn about the basic instructions to follow about routine, place and timing to ensure a proper practice schedule. For getting weekly updates, subscribe to our newsletter here and get free gifts in return. We respect your privacy and will never spam you. You will also be eligible for the discount on our products in future. We also have a dedicated section on the concept of Binaural Beats – the science behind Brainwave Entrainment.